You can support us in many ways. You can become a volunteer, do an internship in Shade, support, assist with or organize fundraising activities or be an ambassador and inform the people in your network about our organization. Another possibility is to donate an amount at our bankaccount as a one-time transfer or if you wishi so, on a monthly basis.You can become become a Friend of Shade already from 5 euros a month. If you'd like to support a specific child you can 'sponsor a child'. For further details see the sub-pages sponsor a child & donations.. There is also a possibility to shop online through sponsorkliks or goededoelshop. With both websites we get a percentage of the amount of money spent in the webshop. There are no extra costs for the buyer, so you can make a 'free donation' by using this website. Of course you can also transfer money directly into our account. You'll find our account number below. Please still let us know because we truly appreciate every donation and would like to thank you for yours. 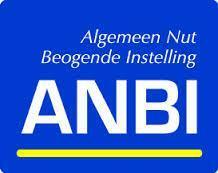 SCF NL has been given the ANBI status for taxes, which means you may deduct the amount you have donated. Our RSIN number is 853297782. The Kenyan NGO Shade Children Foundation also has a bankaccount in Kenya. However, we want to keep bank costs, also for our sponsers, as low as possible, so we advise you to use the Dutch account to transfer amounts in EUR.